Harry Potter. Even a quick mention of the name and kids (and adults!) go gaga over the books, movies, and now theme parks dedicated to the messy-haired wizard. The two Potter-themed areas at Universal Orlando Resort are only fueling the wizarding fire that J.K. Rowling started some 18 years ago. Without a doubt, the new Wizarding World of Harry Potter is the best new theme park of the last few decades. It’s really that good! Universal has gone all out to create an extraordinarily immersive experience where you actually feel like a witch or wizard, able to control parts of the universe with your magic wand. 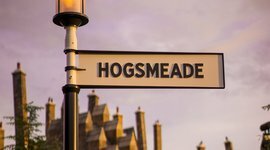 Harry Potter World is made up of two unique lands: Diagon Alley and Hogsmeade. 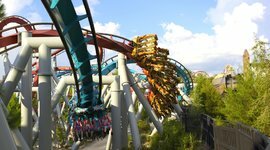 Universal cleverly split these parks between Islands of Adventure and Universal Studios, which means you’ll need to buy a Park-to-Park Ticket to see them both in one day. Good news is, the train ride that connects them, The Hogwarts Express, is awesome in its own right. 1. Diagon Alley – The entrance is hidden from Muggles (of course!) and an optical illusion makes it seem like people are walking through a brick wall. 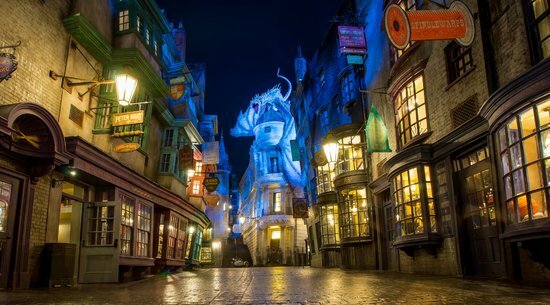 Diagon Alley had Potter fans counting down the days until it opened in July of 2014. It’s the shopping and eating mecca from the books and the attention to detail is astounding. 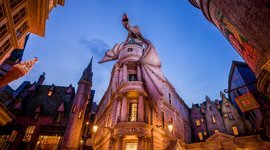 You’ll have to stop by Gringotts Bank first to exchange your Muggle money for wizard currency that can be spent in the parks. 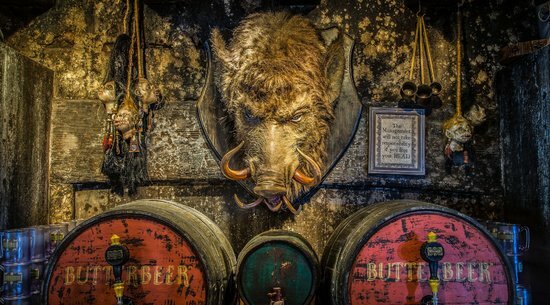 If you’re looking to channel your inner dark side, take a stroll down Knockturn Alley, which will lead you straight to Borgin and Burkes Wizard Shop where you can find objects of the Dark Arts. 2. Hogsmeade – The first Harry Potter park, Hogsmeade was an instant success. Using the Wizarding town of Hogsmeade and Hogwarts Castle as the backdrop, it’s filled with shops, attractions, rides, and even an Owl Post that puts an official Hogsmeade post stamp on your postcards and letters. The vibe is electric and jovial, and even though you may encounter hot, humid Florida weather, the roof peaks glisten with snow. So try a glass of cold Butterbeer and enjoy the ambiance. 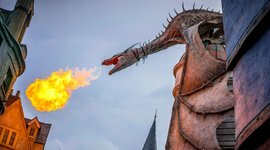 Head to Hogsmeade at opening for the best shot of getting a magic wand at Ollivander’s or riding the best ride, Harry Potter and the Forbidden Journey. 1. 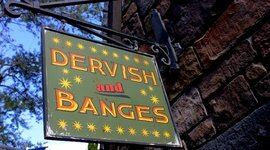 Ollivanders: Hogsmeade and Diagon Alley – Ollivanders Wand Shop and the ceremony that surrounds it is really what makes Harry Potter World so fantastic. If you’re a fan, you know that “the wand chooses the wizard” and you might just get picked to have a wand choose you. The ceremony is hugely popular, so head here at opening to avoid standing in the hot, Florida sun. 2. 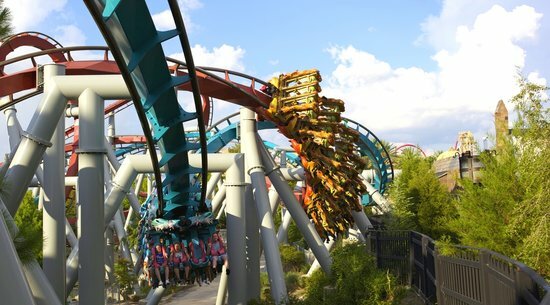 Dragon Challenge: Hogsmeade – Choose your dragon – a Hungarian Horntail or Chinese Fireball – and ride on a dual coaster through a simulation of the Tri-Wizard Tournament. No worries if you can’t decide. They’re both awesome! And keep an eye out for the famous Tri-Wizard Cup. Compliments of two coasters that zoom by at once, the line is quite manageable, so you can ride it several times a day. 3. 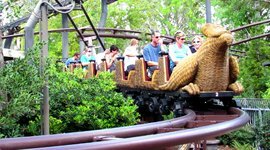 Flight of the Hippogriff: Hogsmeade – An easy, child-friendly roller coaster, guests can take a ride on a Hippogriff and weave and soar along with Buckbeak. The queue is a ton of fun and passes by Hagrid’s Hut and Buckbeak himself. Don’t forget to use your manners and bow! The ride’s line is very tolerable any time of day. 4. 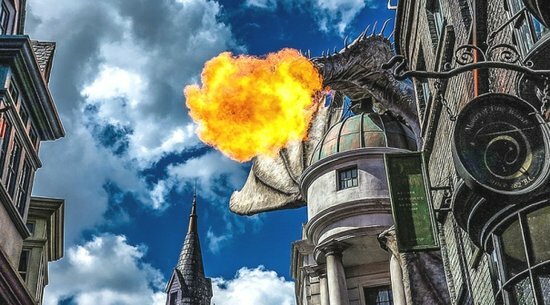 Escape from Gringotts: Diagon Alley – A real-life fire-breathing dragon sits atop Gringotts banks, welcoming guests to the entrance. Keep in mind, this ride is very popular! So get here early to avoid the long lines. Once you’re locked in, hold your breath for the initial drop through the vaults of Gringotts. 5. Dervish & Banges: Hogsmeade – Pull out your wizard money of Galleons, Sickles, and Knuts because you’ll need proper wizarding supplies (Hogwarts isn’t cheap people)! This is where you get your Quidditch gear including robes, broomsticks, and that ever-elusive Golden Snitch. 6. Harry Potter and the Forbidden Journey: Hogsmeade – The line for this ride is half the fun! Walking through Hogwarts School of Witchcraft and Wizardry you become part of famous scenes from the books. 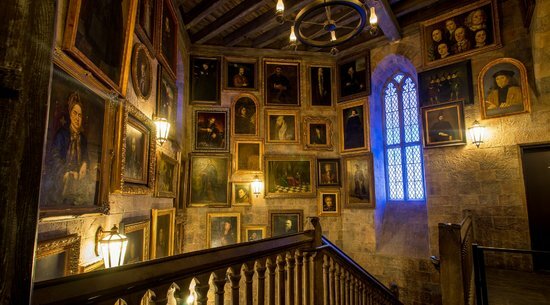 As you wind through the line, make sure you check out the noisy Mandrake plants, Dumbledore’s office entrance, and of course, the paintings that you can’t help but talk to. Once you’re seated, Hermione makes the coaster fly with the wave of her wand! It’s an intense ride that uses gigantic screens and fast turns and dips. 7. 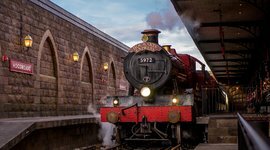 Hogwarts Express: Connects Hogsmeade and Diagon Alley – Head to Platform 9 ¾ and catch the train that takes Hogwarts students back to school every September. 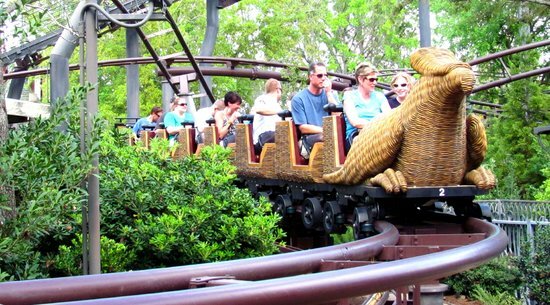 It carries passengers between Diagon Alley and Hogsmeade and each trip feels so different that you could ride it twice. You’ll need a Park-to-Park admission ticket to ride back and forth. Please note that this ride is very popular and the line can be pretty long most hours of the day. While you’re waiting for a seat, check out cool details throughout. A viewing area designed for us Muggles lets you see the magic happen. So get out your video camera. 1. 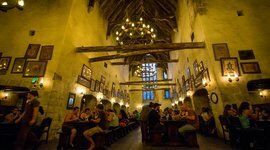 Three Broomsticks: Hogsmeade – British-inspired Wizard food is the theme of this sit-down style restaurant in Hogsmeade. Fish and Chips, Cornish Pasty, and Butterbeer are all on the menu and the ambiance is fun and laidback. Up for a unique drink? Try a serving of Pumpkin Juice. 2. Leaky Cauldron: Diagon Alley – This sit-down restaurant in Diagon Alley serves breakfast, lunch, and dinner. Looking for authentic British food? Get the Bangers and Mash, Scotch Eggs, and of course, Cottage Pie. 3. 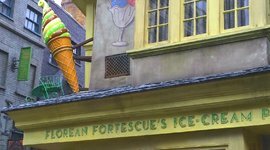 Florean Fortescue’s Ice-Cream Parlour: Diagon Alley – Pop in the parlour at breakfast or anytime of day if you’re looking for something sweet. Pastries are served in the morning, but lunch time and after it’s all about the unusual ice cream flavor combinations like peanut butter and strawberry, Earl Grey and lavender, and ever Butterbeer ice cream. 1. Get a magic wand – A top priority for visitors to both areas! 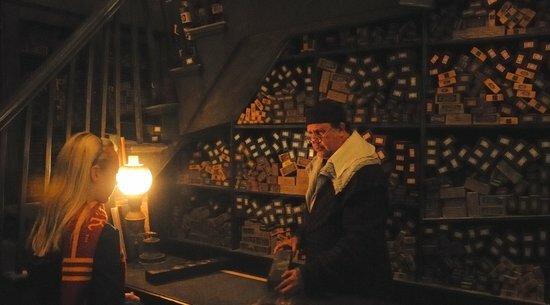 Ollivander’s Wand Shop is the place to go, even if you just want to watch the wand ceremony. These interactive wands give you the power to make magic happen at specially-marked areas of the park. 2. 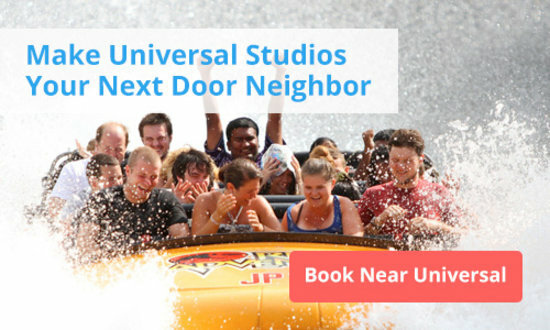 Pack water and snacks – Universal Orlando Resort does not permit picnic baskets or large, packed meals into the parks. They do, however, allow bottled water and snacks, so fill up your backpack or bag to save money during your visit. 3. Watch the moving portraits – Watching the moving portraits in Hogwarts or the magical signs and posters in both areas of the parks is a hoot. 4. 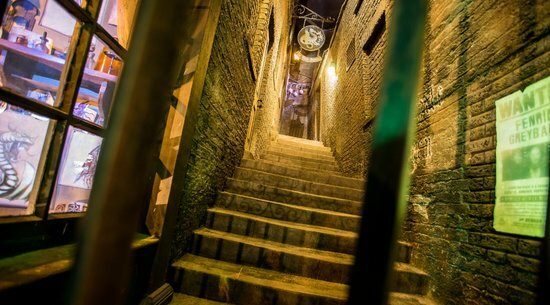 Explore the alleys – And then there’s the dark arts of the Wizarding World. See long it takes you to find Knockturn Alley! The creepy, dark magic area is not out in the open and its smallish sign makes the hunt a challenge. Don’t have the patience to look for it? Go ahead and ask a Universal employee. 5. Rope drop and early entrance hours – Try to make rope drop (park opening) if you really want to ride the popular rides. You’ll beat the heat of the lines and the lengthy wait times. 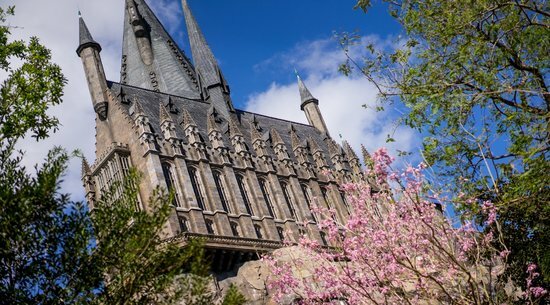 Guests staying at Universal Orlando Resort properties have early entrance hours for Harry Potter theme park areas, giving them extra time in the parks to ride the popular rides before the park opens to general admission. The wand chooses you! You'll want to pick up a magic wand here to cast cool spells throughout the park. This is where you can stock up on robes, broomsticks and other Quidditch gear. Make sure to convert you money into wizard coin first.